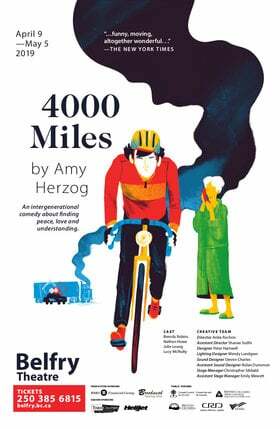 Looking for something ridiculously fun to do for Halloween? 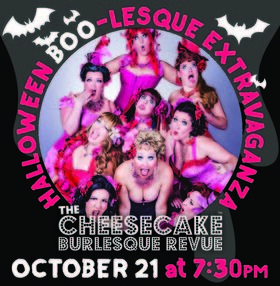 Join us for THE CHEESECAKE BURLESQUE REVUE: Halloween BOO-lesque Extravaganza! It’ll be a dark and stormy night full of flesh and fright! 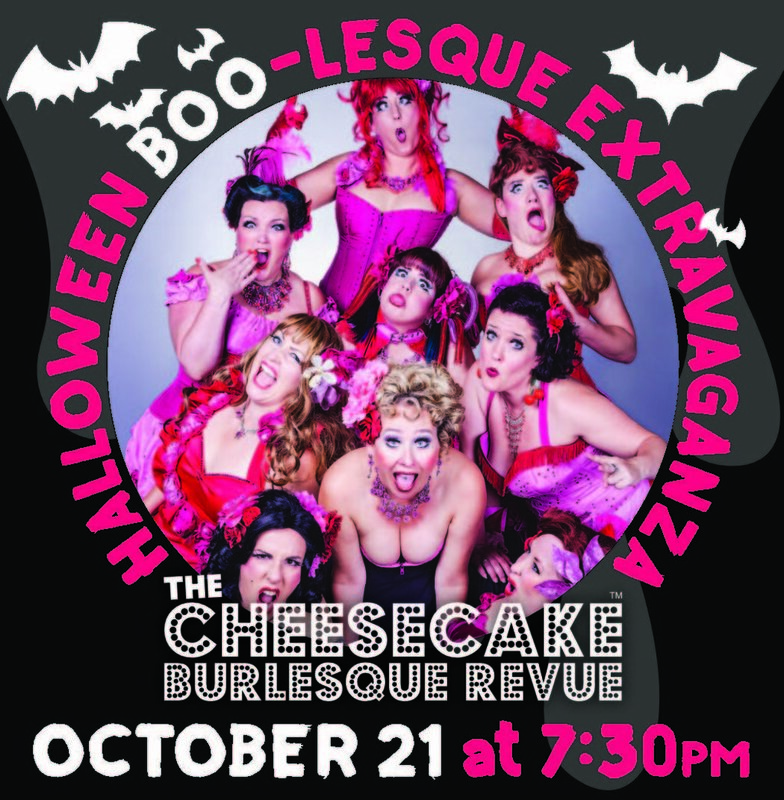 A SPOOK-tacular variety show featuring the silliest and scariest entertainment! Dancing, singing, and comedy with tons of Tricks ’n' Treats, and... of course... lots of BOOOOOOOOBS!! !